They say good things work in pairs. Tea and biscuits. Apple and mango. Dell and Rodney. The same can be said for the trance scene. 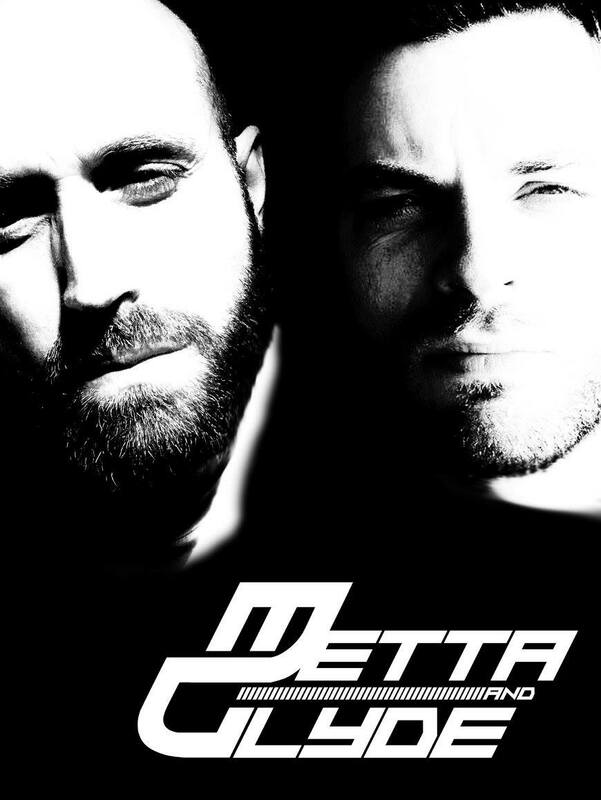 Making their debut as a duo and their first release on Ascension®, we welcome DJ producer tag team Metta & Glyde. Taking euphoria to a new level with their take on the genre, the guys are set to take the stage by storm. Ahead of their debut, we caught up with the lads to discuss making music on a Playstation, stopping the wrong deck and toe tapping. How did the Metta & Glyde duo begin? Adam: I admired Lee’s work and loved his track ‘Sunrise’. On a whim, I asked if I could remix it and sure enough he fired over the parts. After appreciating each others work, we thought it might be good to kick around some new ideas and those ideas turned into that kind of uplifting 138bpm style trance that we both love. How have your sounds developed since you first produced? Adam: The goal has always been to produce Trance, but developing that full on trance sound has taken a while, from producing tunes on a Playstation (!) to walking miles to use my aunties PC! The sounds have become better and a style has been established, but it has taken a long time to get there. Who are your producer/musician influences? Lee: (Present) Darren Porter, UCast, Sean Tyas (Past) Alphazone, Ralph Fridge, Nu NRG & many more! Adam: Craig Armstrong, Hans Zimmer, Sigur Ros, This Will Destroy You, Simon Patterson, Sean Tyas, Rank 1, Ferry Corsten. Lee: Clubbing & my passion for the music gave me no choice! DJing: vinyl, CD, USB or laptop? Lee: I have no preference really, originally learnt on vinyl, but enjoy CDJ's just as much. What is the very first vinyl or CD that you ever bought and do you still have it? Lee: I think one of my first vinyl's would have been Ralph Fridge 'Angel'. Adam: First tape cassette was Prodigy ‘No Good’, first CD was Faithless ‘Insomnia’, First vinyl was The Act ‘Something About You’. What's the most recent track that you bought? Adam: Art Of Trance ‘Madagascar’ (Richard Durand Remix) random haha! What are your five all time favourite tracks? Lee: Binary Finary '1999', Ralph Fridge 'Paradise' & 'Angel', Kaycee 'Escape', Push 'Universal Nation' & 'The Legacy', The Olmec Heads 'Spiritualised', The Thrillseekers 'Synaesthesia', Marino Stephano 'Vision Control', NU NRG 'Dreamland'..... I could go on & on & could never whittle it down to just 5!?! Lee: Ferry Corsten, Tiesto, PVD. Adam: The one and only Judge Jules. What's your favourite part of the world to DJ? Lee: Would love to play in Argentina, Australia & Ibiza. Adam: Every single one. It’s trance!! Any odd gigs or embarrassing moments? Adam: Stopping the wrong deck!! Where do you prefer to DJ, club or festival? Adam: Never done a festival but as they have a special once a year quality, it would be awesome to play one. All DJs have a pose when they play. What's yours? Lee: Not sure I have one tbh lol. What is your essential studio tool? Are there any plugins or hardware you recommend? Adam: UAD Plugins are amazing, anything from Izotope and Fabfilter are of awesome quality. How long did it take you to make music professionally? Did you have any training? Lee: Still learning 20 years on! The only training I've had in the past would be going in the studio with Dave Parkinson, Alf Bamford & Greg Brookman. Adam: A hell of a lot of trial and error! No training as such just a lot of patience. What do you love doing outside of music? Lee: Spending time with my son. What has been the high point of your career to date? Lee: Awwww meeting adam of course. Who do you rate as an up-and-coming DJ producer? What advice would you give to an aspiring DJ? Lee: Set a goal, have plenty of patience & work hard to get there.